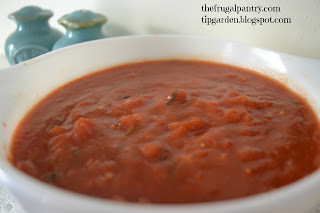 Making your own Marinara sauce is super easy, and I love that you can control the ingredients by making your own! I always make this in large batches. Sometimes I freeze it in freezer bags/containers and sometimes I can it, depending on my available time. 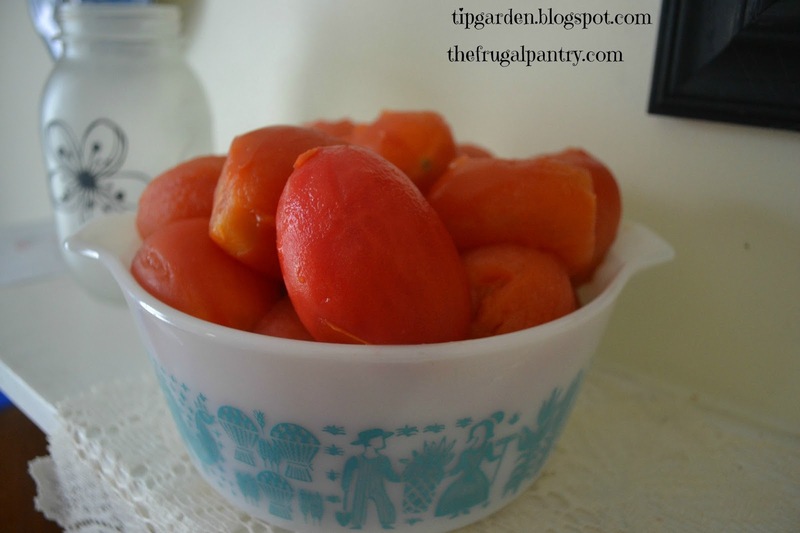 Today I am making it with fresh garden tomatoes, but I will also give you some alternatives for canned tomatoes which I make when I run out of my homecanned tomatoes. Jan’s Tip: You may want to add about 2 Tablespoons sugar to the canned tomato version to help cut the acidity level that they have. Fresh ones don’t always have this same problem. I Do NOT add the sugar, however, as my husband is diabetic. I don’t add sugar substitute either, We just go for fewer sweeteners in our sauce. In large pot over medium heat, cook onions , minced garlic and olive oil till onions are transulent and caramelized. 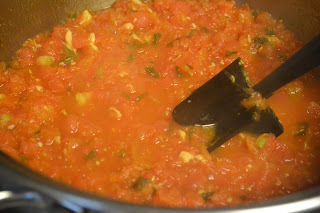 Add in tomatoes , herbs and the optional sugar. Blend well, and crush tomatoes to desired chunkiness. Simmer low and slow to get the best concentrated flavors. I usually simmer for about 2 hours over low heat.